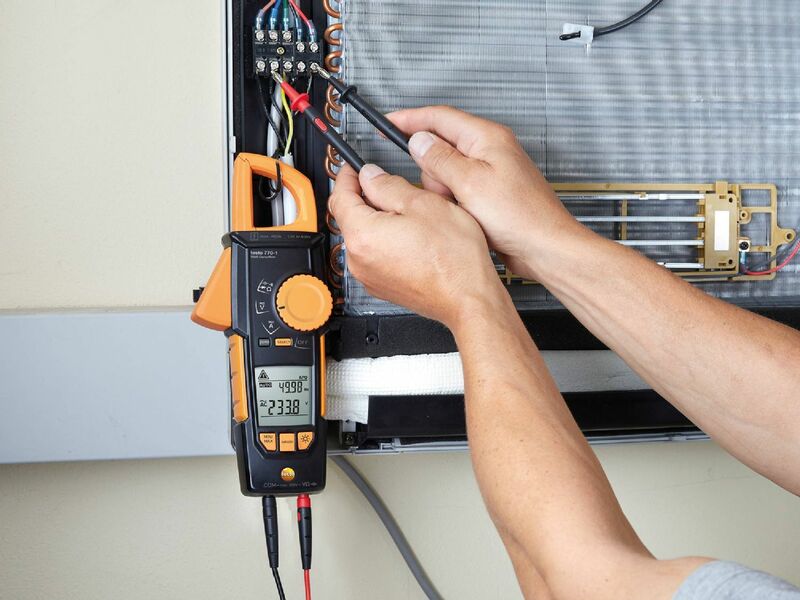 The clamp meter supports you in the exact recording of current strength and uses the magnetic field that surrounds the conductor for its indirect measurement of the magnetic field. 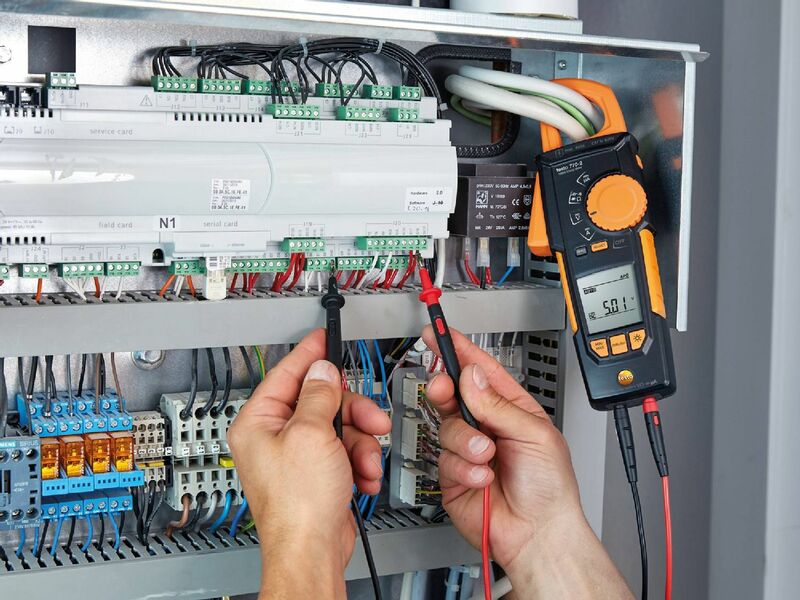 It is therefore not necessary to disconnect the electric circuit to activate the measuring instrument directly on the cable, because the measurement is contactless. The pincer-like iron core allows targeted splitting of the busbars. This operating method enables you to measure the current even where you cannot switch off the system temporarily. 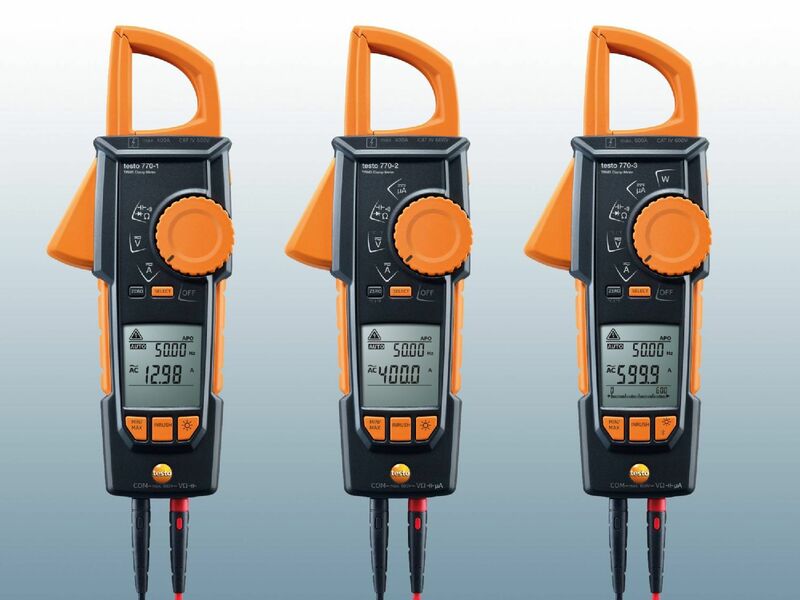 Using a clamp multimeter makes it possible to record multiple measurement data. These elements allow flexible use and ensure clear data collection. if the clamp encloses an entire cable which contains both conductor and return conductor, only the leakage currents are measured. A leakage current occurs when the current flows via an element which was not intended to be an electrical conductor. The instrument shows the currents for the measurement on the display and makes the user aware of any weaknesses present in the insulation. In many areas, no shutdown is possible while machines are in operation. However, a leakage current probe enables leakage currents, insulation and the desired current flow to be tested without any problem, even without switching off the equipment for the duration of the measurement. 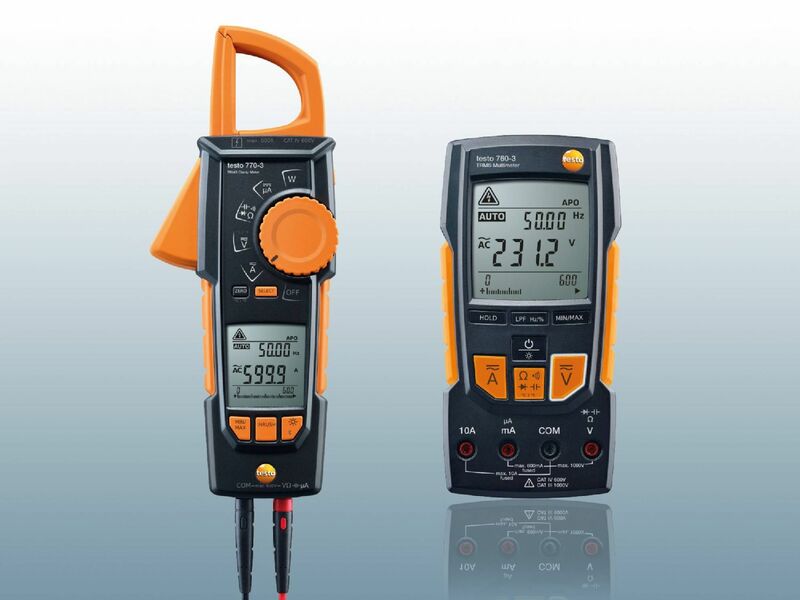 That makes these tools important companions for electricians and for people who are responsible for equipment testing and maintenance. Operation can therefore continue and is not affected by the testing. testo 770-3 with optimized TRMS method and Bluetooth connection. 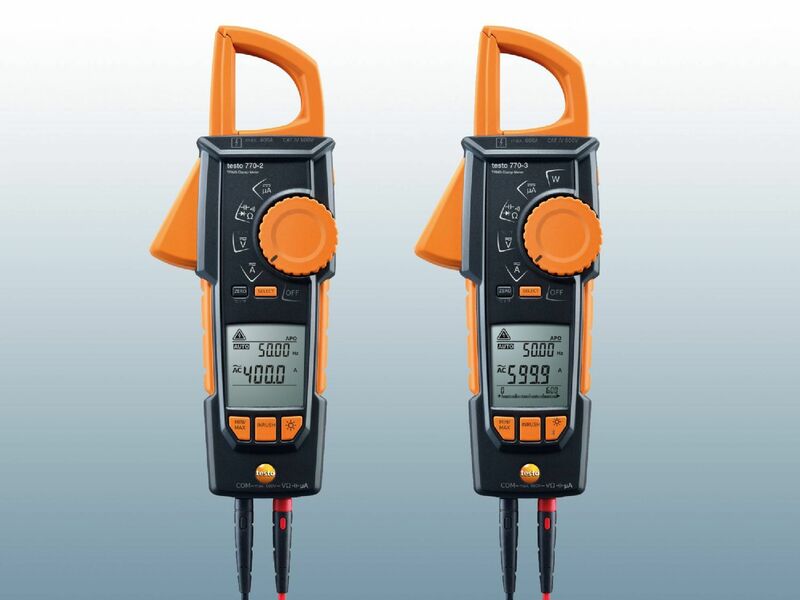 In order to be able to measure direct current too, the DC clamp meter carries out a resistance measurement that is dependent on the magnetic field. This enables static magnetic fields to be recorded, which is necessary because there are no alternating fields present with direct current. measurement of frequency (in hertz). 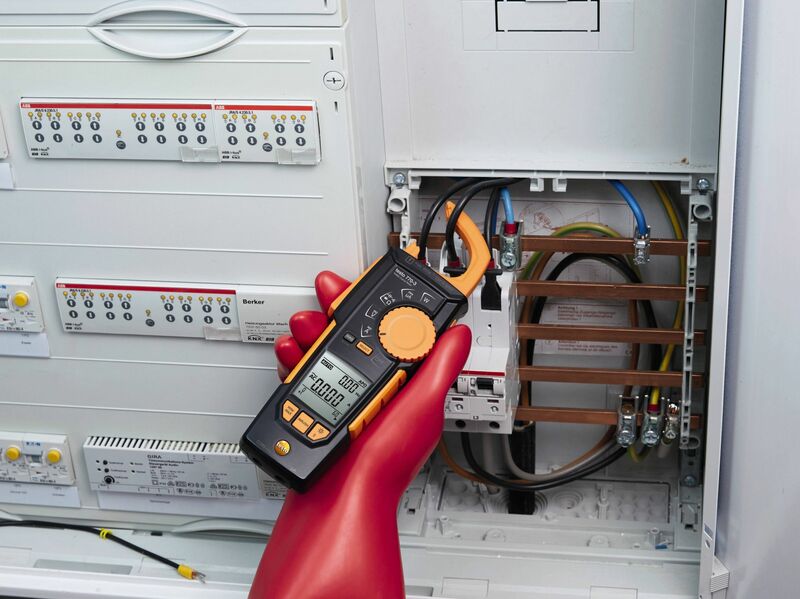 The DC clamp meter – that is the instrument for direct current measurement – is suitable for the maintenance and inspection of electrical systems and small devices. However, using a current probe of this kind not only enables checking of the direct current, but also of the capacitance or resistance. The instrument is important for continuity testing as well. If the objects being tested are difficult to access, the data hold function helps you by making it easier to read out the values. 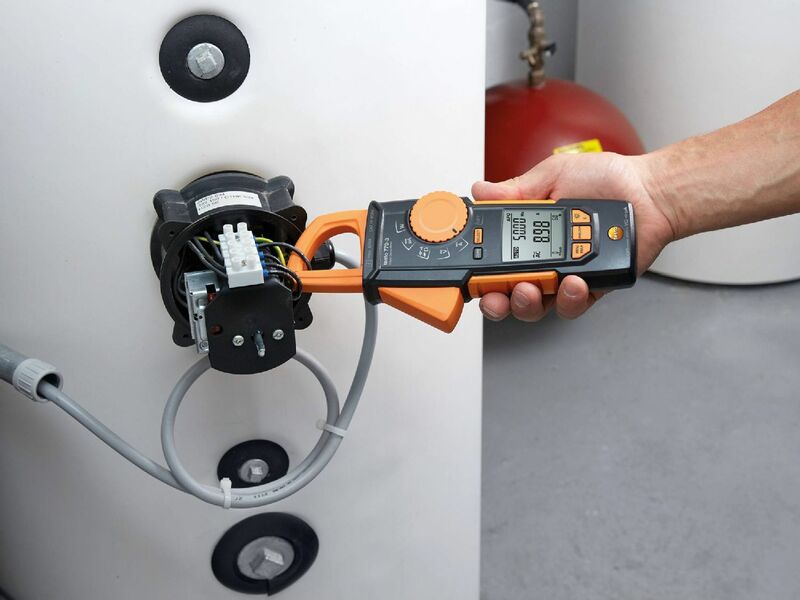 The movable pincer arm also makes the Testo current probe easy to handle in a difficult environment. Even when power cables are tightly packed in a switching cabinet, it is possible to work safely and reliably. The supplementary function of a leakage current probe enables the measuring tool to help with testing electrical parameters and safeguarding the whole system. 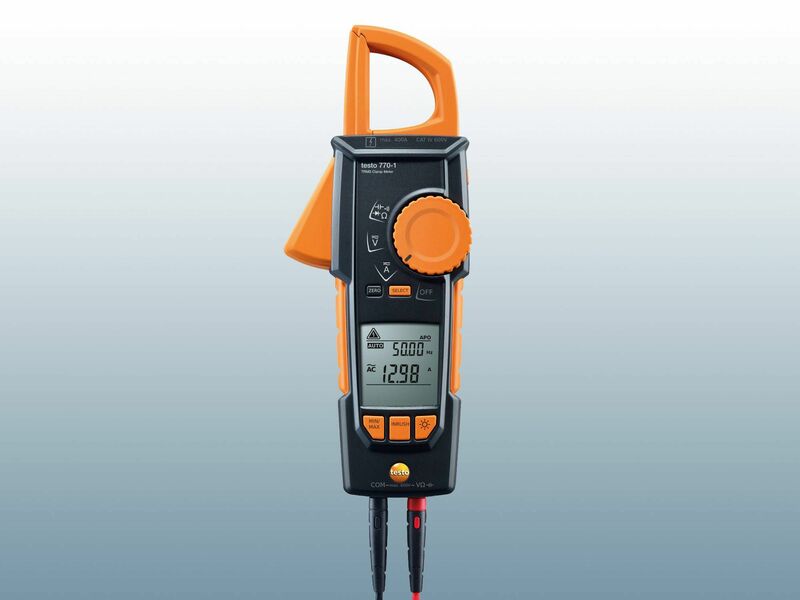 You can easily read off the measuring values on the large display and initiate any steps that may be necessary in terms of insulation or system maintenance.